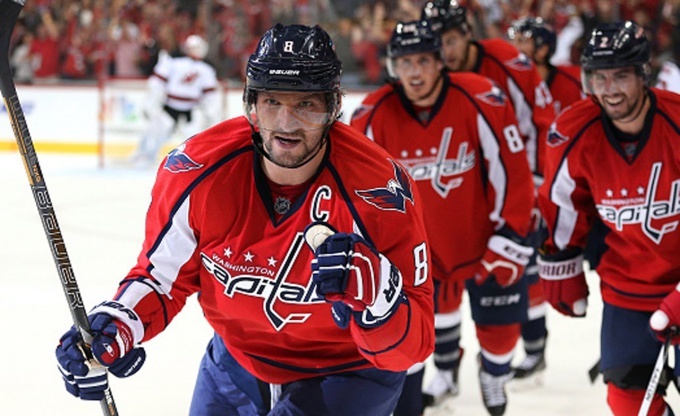 Despite being second in the Pacific Division, team captain Alexander Ovechkin & Co. are still being pegged as the online hockey betting underdog in tonight’s Washington Capitals vs. Los Angeles Kings. Both teams have been struggling as of late, but at least Washington ranks within the top-3 of their division. Let’s take a look at some 2 team teaser options off of tonight’s contest. Come see the LA Kings take on the leader of the Metropolitan Division Thursday night and you'll go home with this one-of-kind collectible art print by Derek Deal! The above-listed tweet claims that the Caps are the leaders of the Metropolitan. That was true a few nights ago but now Washington has given up that coveted spot. Currently, the Pittsburgh Penguins and their 82-points on the season lead the Metropolitan. The Penguins claimed the lead by picking up a win over the Philadelphia Flyers last night. However, since Washington has 81-points on the year, the Caps can reclaim their No. 1 spot with a triumph over the Kings. Nevertheless, the evening’s online hockey betting odds are siding against Washington. To see how these two clubs measure up against one another, let’s take a look at both teams’ stats. All in all, these two teams matchup pretty well against one another. The Kings undoubtedly have the upper hand on defense since they enter with the NHL’s 2nd best defensive unit. However, the opposite is true on offense. Clearly, Washington’s 11th ranked scoring offense is superior to Washington’s 16th ranked unit. But in the end, Washington will need a valiant effort from Ovechkin, Evgeny Kuznetsov and even John Carlson if they are to outscore such a dominant defense. 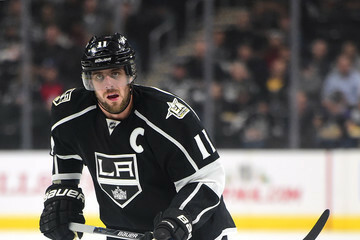 Team captain Anze Kopitar leads the Kings on home ice this evening. Los Angeles comes into this contest sporting a 36-25-4 record that ranks them 4th in the Pacific Division. Furthermore, the Kings’ 77-points on the season places them 2-points away from tying with the 3rd-seeded San Jose Sharks. Considering that the end of the season is in sight, there’s no question the Kings are solely focused on cracking the Pacific’s Top-3. Clearly tonight’s online hockey betting lines think the Kings will be able to bridge that gap this evening. Should players feel the same way about this Washington Capitals vs. Los Angeles Kings matchup? All things considered, Washington might be the better betting option this evening. The Kings boast tremendous talent in Dustin Brown and Drew Doughty. However, the real strength of this team is in their keeper Jack Campbell, who has a brilliant 1.00 goals against average. But will that be enough to stop Washington’s dynamic versatility? It seems unlikely. But then again, the Kings did triumph over Washington 5-2 back in November. Maybe Los Angeles is the way to go this evening. The betting trends suggest that the Kings should get the job done tonight. However, the odds out on Washington straight up are too appealing to pass up. And in the end, there’re plenty of reasons for the Caps to come out on top. Sign up now to make this daring prediction on Washington! Score Prediction: 3-2 Washington. The Capitals get it done on the road against the 2nd best defense in the NHL. The TOTAL will be UNDER and the Kings cover the spread.